Employers today face a variety of challenges related to employee health, ranging from increasing costs, work-related stress, and dissatisfaction to reduced productivity and engagement. 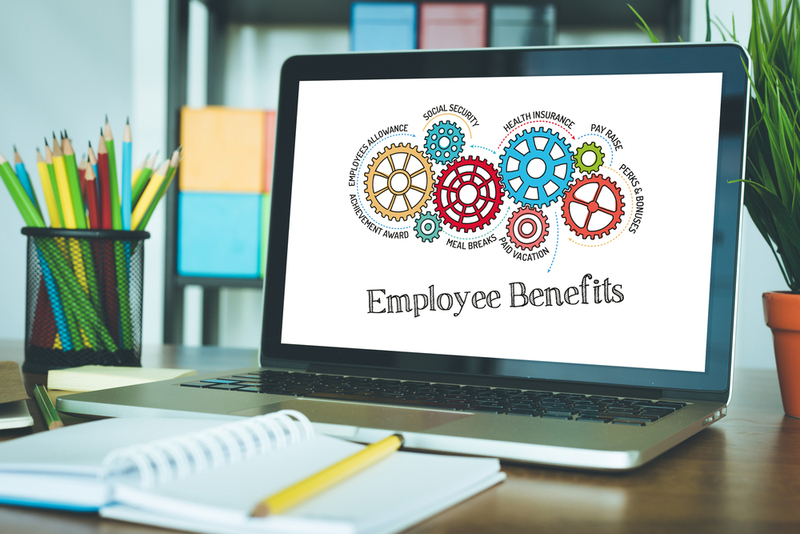 An employer can directly tackle these issues by taking a holistic approach to the organization’s employee benefits program. A comprehensive suite of benefits can not only address employer pain points such as recruitment and retention but also reduce costs for employees and employers, often while improving the quality of care and employees’ overall health. While there is no single way to fix these rising costs, a well-designed employee benefits program can help manage them and lead to positive outcomes in both the workplace and personal health. The most effective benefits programs emphasize risk reduction, prevention, and health management. They also address and connect care for both body and mind while balancing costs and adding value for the employer. Aligned with a company’s strategic goals, an employee benefits program should ideally include a variety of interventions falling into four categories: clinical, well-being, network, and navigation. Clinical interventions have typically been at the core of an employee benefits plan. A more sophisticated plan will ensure employees receive the care they require at the right time and that they follow treatment programs. Six in ten U.S. adults have at least one chronic condition, which accounts for 90% of total healthcare spending.3 Strategies for managing high-cost claimants and chronic conditions must include early identification, prevention, care management, engagement, and coordination of benefits and ensured high-quality care. Network interventions aim to broaden employees’ access to quality care and reduce overall costs. Examples include on-site, near-site, and convenience clinics. More than half of large employers offer on-site clinics, and another 13% are considering them.¹ These centers are increasingly going beyond acute care to offer primary care, occupational health programs, health improvement programs, employee-assistance programs, chronic care management, and pharmacy services. Network interventions also include the use of High-Performance Networks, Accountable Care Organizations, and Centers of Excellence, which can be particularly cost-effective for transplants, bariatric surgery, orthopedics, cancer treatment, cardiovascular care, and fertility treatments. Digital health initiatives are also playing a role across all interventions. Venture funding for digital health is at a record high of $8.1 billion in 2018.7 Nearly three-quarters (7%) of large employers offer telehealth as a way of accessing certain services,7 and the sheer number of options and the pace of innovation have left many employers confused. Employers should evaluate the clinical aspects of any digital solution, the data and science behind it (specific to the demographics and health issues of their employees), and the consumer experience. Even the best-constructed plan is ineffective if employees do not understand and properly utilize available solutions, so communication and education are essential. Many employers have implemented, or are considering implementing, engagement hubs that use artificial intelligence to tie all available interventions together and provide personalized messaging to employees aiming to change behavior and improve health while making the best use of resources. The most effective engagement hubs communicate the right information to employees at the right moment; research shows that people often ignore generic benefits-related messages but are likely to act on those that apply to them at the moment of need. As an example, algorithms can use historical health data to predict that an employee who schedules a spinal MRI is suffering from back pain and will need treatment. A care manager may then be prompted to reach out with information about treatment choices and their effectiveness, or a digital message may be sent to the employee with information on proven and effective nonsurgical treatments. Next, employers must identify metrics to measure against these goals while simultaneously developing an organizational baseline and identifying strengths and gaps in programs. This assessment will include data that help an employer understand its pain points and determine what benefits employees would find engaging and valuable. Finally, employers must evaluate benefits programs on a continual basis to drive value, taking advantage of all available data and employees’ feedback to leverage the right vendors and services consistent with the organization’s strategic goals. A well-designed program will lead to a healthier, more productive, more satisfied workforce and will deliver value to the employer. Louise Short, MD, MSc is the National Clinical Leader for Strategic Benefit Advisors (SBA) and Brown & Brown. Her passion and her focus are working with employers to develop innovative strategies and solutions that engage and support employees and their families in making good choices to avoid the cost and consequences of poor health. She is a seasoned, results-driven physician with a background in internal medicine and occupational and preventive medicine, and she has 25 years of experience providing clinical leadership in designing, implementing, and measuring population health programs and strategies. She also has worked in occupational medicine and safety, including developing ergonomic approaches to decrease injuries and decreasing occupational risk in manufacturing and healthcare settings. 2 The Healthcare Imperative: Lowering Costs and Improving Outcomes, Institute of Medicine, 2010. 3 Multiple Chronic Conditions in the United States. 2017. C. Buttorff, T. Ruder, M. Bauman. RAND Corporation. 4 National Institute of Mental Health based on 2016 National Survey on Drug Use and Health. 5 American Psychological Association. Stress in America: The State of Our Nation, 2017. 6 Mercer National Survey of Employer-Sponsored Health plans, 2017. 8 HERO Scorecard in Collaboration with Mercer, 2016 Progress Report.